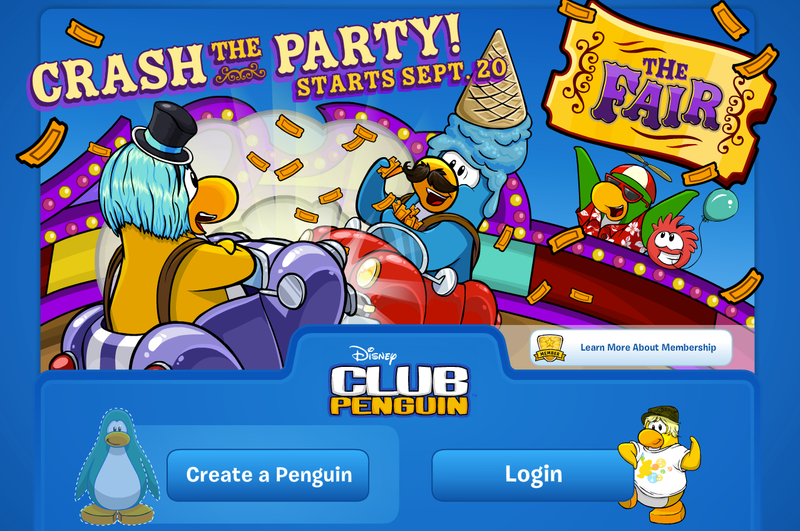 Club Penguin Cheats by Mimo777 Club Penguin Cheats by Mimo777: New Club Penguin Home, Start-up And Log-off Screens! 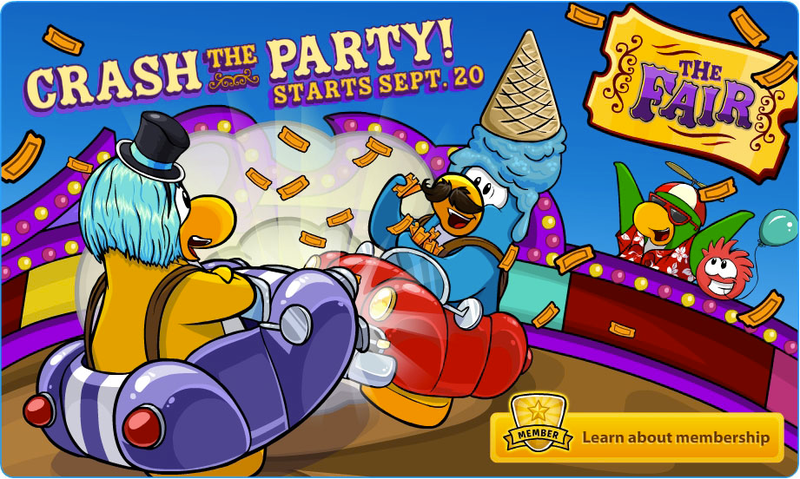 New Club Penguin Home, Start-up And Log-off Screens! 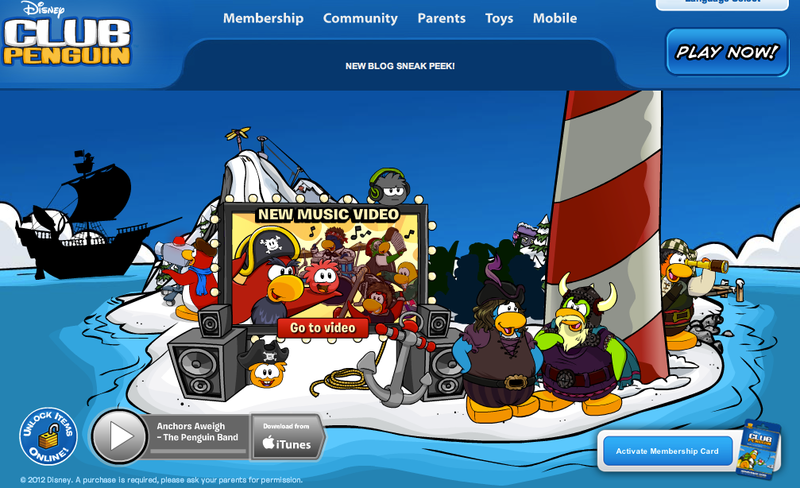 You have all probably all seen Club Penguin's new home, start-up and log-off screens. But I am just soooo excited for The Fair! The home page has the new Anchors Aweigh music video! And lots of pirates...? Crash the party! Starts Sept. 20! I can't even wait for this years fair! What are you most excited for about The Fair!? And does anyone else still call it the "Fall Fair"? I love the Fall Fair, it's my favorite party! Looks like there will be blue hair for the girls this year instead of pink because she is in the new car. The guy is in last years ice cream cone hat and car. I still call it the Fall Fair! I'm pumped for the fair Mimo! It just looks so fantastic. 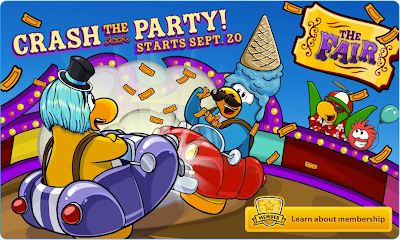 It truly is a Club Penguin masterpiece. I'm looking forwards to earning my tickets, being able to keep them, and seeing what rare ticket booth items there are! ROCK ON THE FAIR 2012!